Georgia Scott’s first bike was called the pink crocodile; it was a child’s racer bike, coloured pink (obviously), with a crocodile sticker on the frame. She chose it for the crocodile; not for the colour. 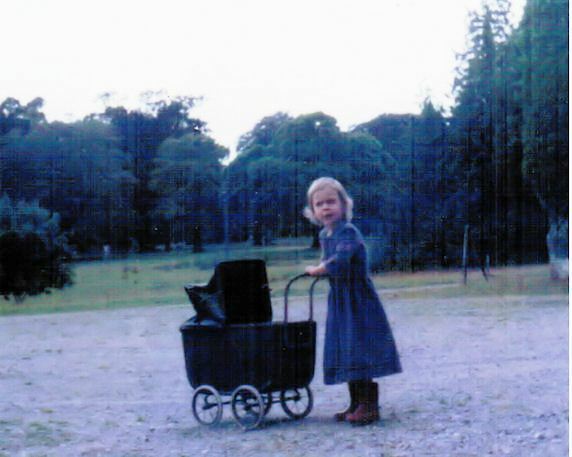 From the age of 7, Georgia always cycled the two minute trip from her house to Sandford National Primary School. On Fridays, her father would cycle with her and ask questions on current affairs all the way to the classroom door. Georgia’s school organized Current Affairs Quizzes each Friday, and since the Scotts did not have a television, Georgia’s father – a University Professor – had to find other ways to get his daughter informed enough to participate. As a result of their talks, Georgia regularly got to a top position. Today, Georgia has outgrown the pink crocodile. But she has never outgrown cycling. Together with her mother – fashion designer Nicola Orriss – Georgia is showing cycling is still cooler than snow-covered Dublin. 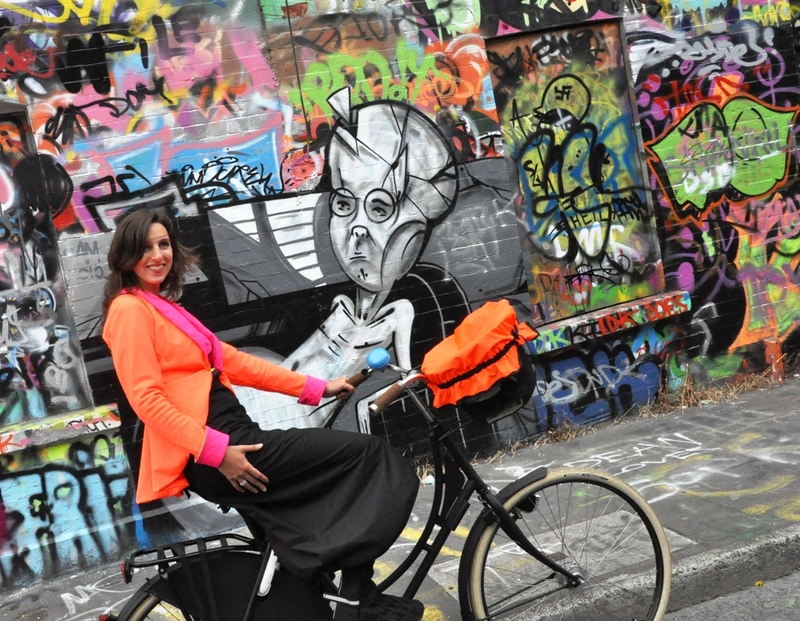 Georgia and Nicola have their own fashion label: “Georgia in Dublin”, with rainwear especially suitable for cyclists. After a grand premiere at Cork Cycle Chic a year ago, their fashion is now sold by bike shops in Munich, Berlin, London and Dublin. And there are more European cities to come. 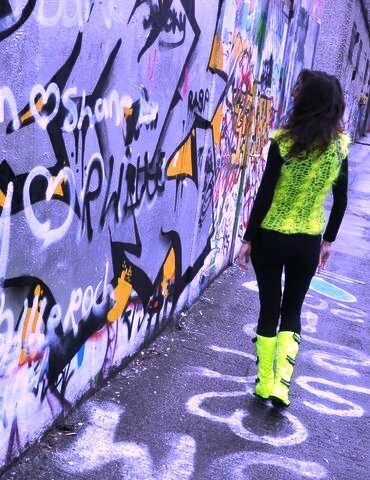 Last week, Georgia was shooting photos at the graffiti walls of Windmill Lane. She had chosen the graffiti art, which reminds her of Alice in Wonderland’s garden of live flowers, as the background for her label’s new mohair garments. ‘Every form is a base for colour, every colour is the attribute of a form’ . But Georgia, of course, already knew this. We were in Morocco. The country is like a Moorish King, asking for his blackberry; the country has regal allure, built on traditional Islamic culture, but combines its traditions with Italian fashion and fads like Twitter. 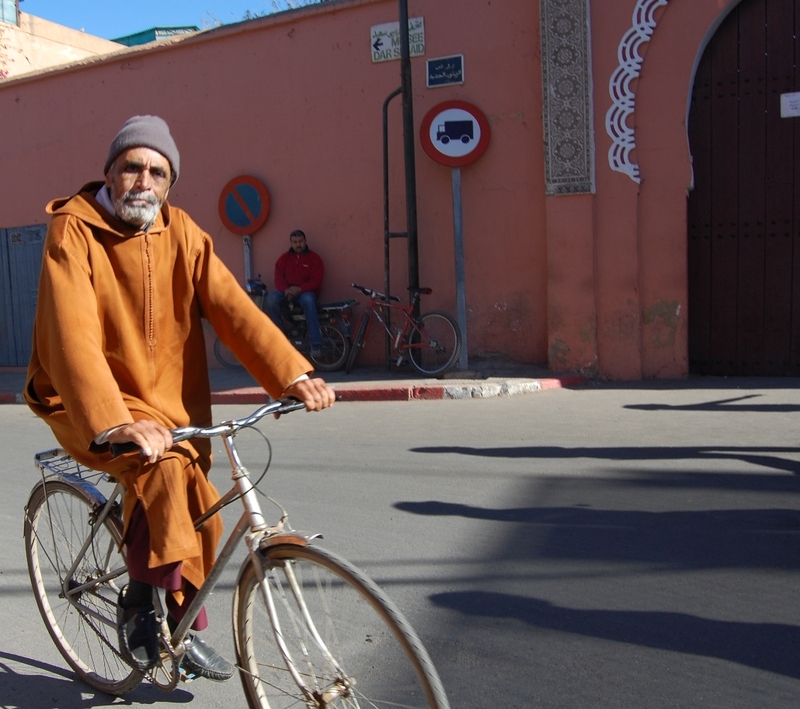 We found Morocco’s traditional culture is strongest in the Medina’s – the ancient city centre’s of Moroccan cities (see last week’s post). 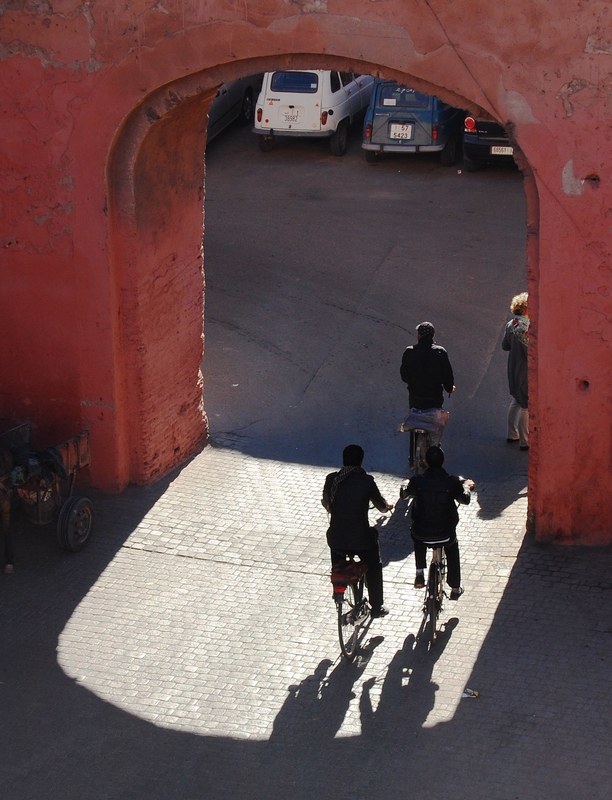 Well preserved within its city walls, the medieval Medina of Marrakech looks the same today as it did when ruled by the Almoravids in the 11th century. The only thing to dispel the illusion of travel back in time are the bicycles; always on the move, their bells alerting you just in time to step aside. 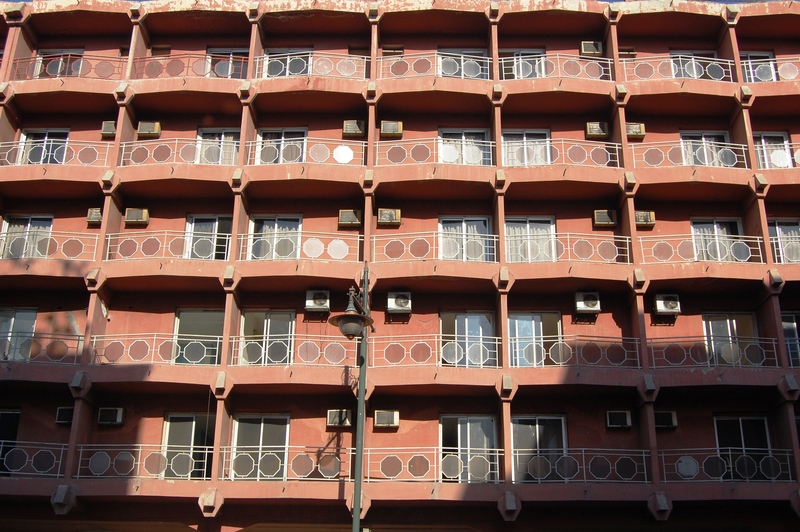 Then, we also got to see that other side of Morocco; where buildings look like bee hives and four lane traffic has replaced city walls. 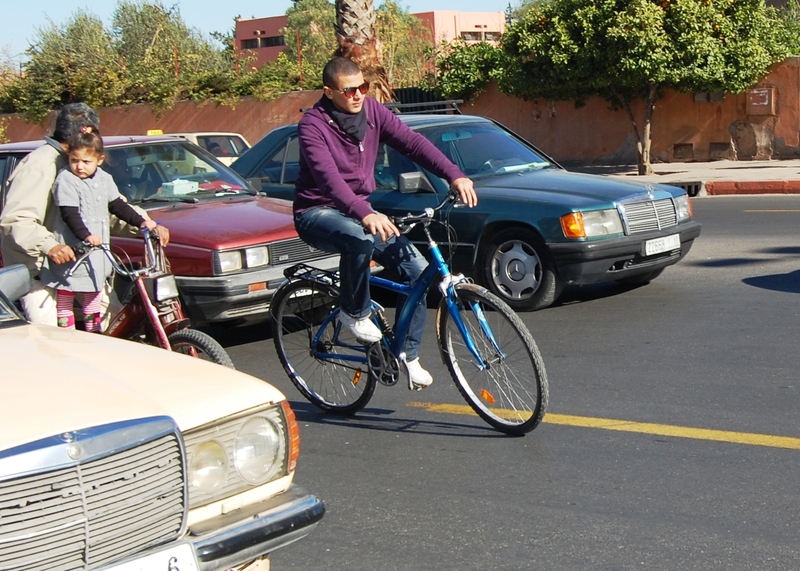 It was in neighbourhoods like Guéliz (Marrakech), that we saw broad boulevards and radial roads push on cars like clockwork. There, appartments rise in multiple stories, while their plinths harbour fashion boutiques and book stores. The sunlit corner terraces filled up early, and their croissants and café crème reminded us of Paris. And in those new neighbourhoods – between the blackberry´s and the bags by Burberry – again we saw the bicycles. Just like in the Medina. 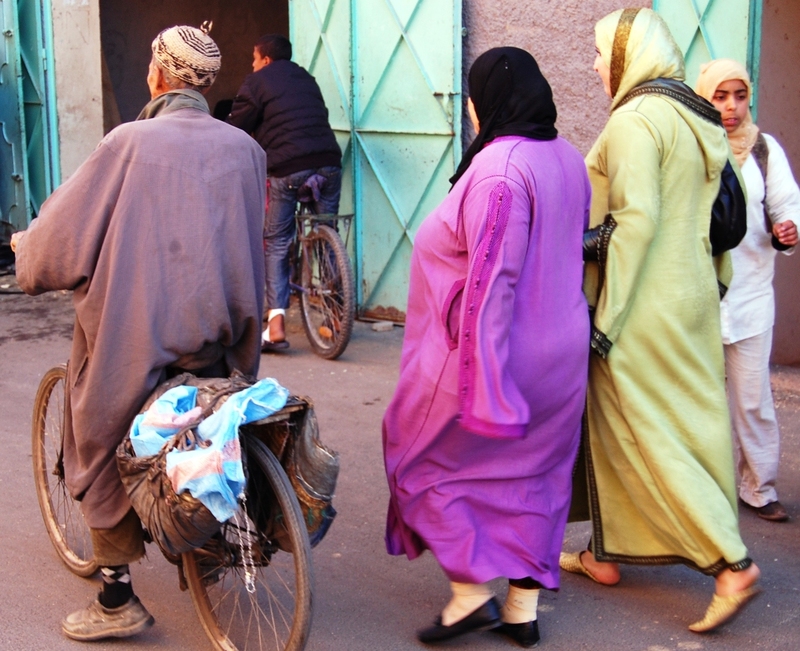 Their bells ring loud and late, barely leaving time to step aside; a reminder that traditions persist in modern Morocco also. In the narrow streets of Marrakech’s Medina, merchants hang rugs from slanted walls, pharmacists display pyramid heaps of hibiscus, poppy seeds and mint leaves, and fruit stalls offer fresh orange juice for four dirham (0,40 Euro). 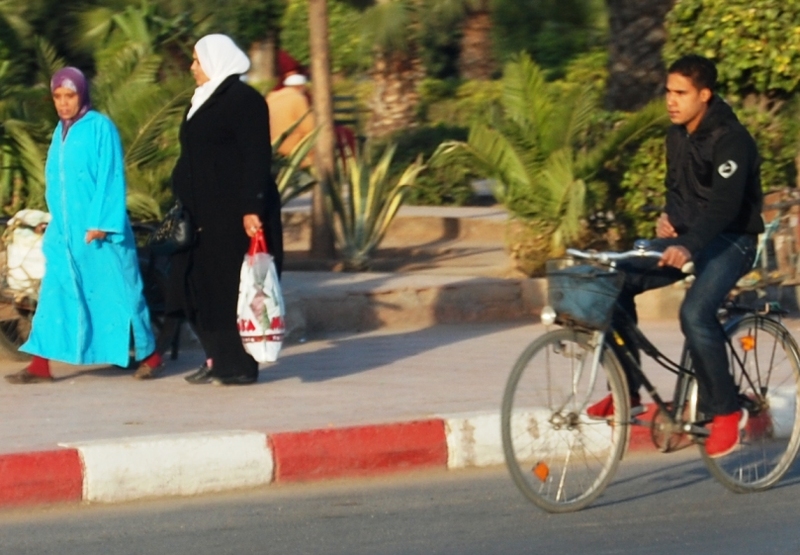 To tourists, the Medina is a scenic shopping roller coaster. 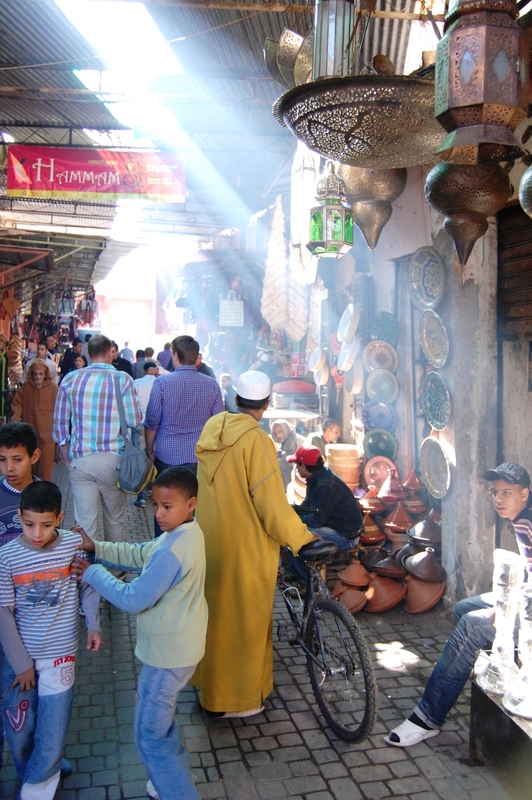 But the Medina’s traders face great challenges to get their goods through the serpentine streets. Houses angle towards the streets, bearing down on people below. Merchants sit smoking in front of stalls, their stools encroaching on the little space left. 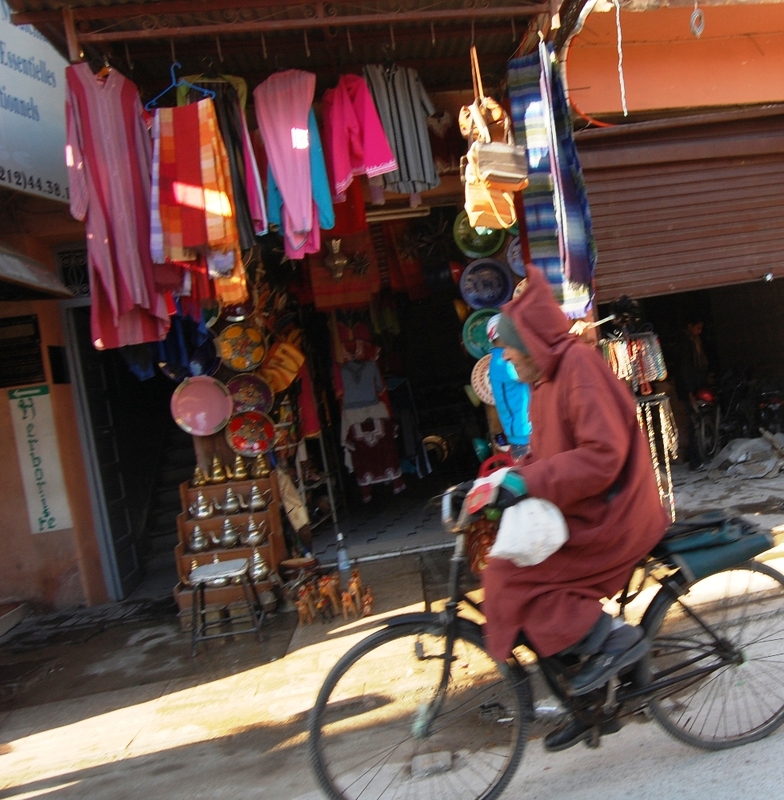 Finally, the throng of Marrakchi making their way to work, of tourists stalling to take pictures, and of uniformed children walking hand in hand to school, definitively rule out the possibility of motorised lorries delivering goods to the Medina traders. 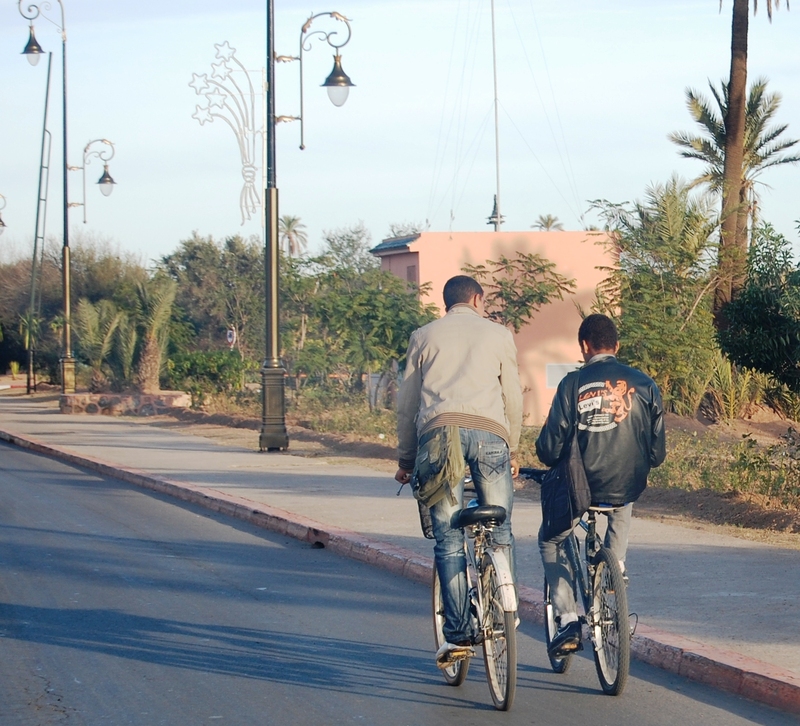 Throughout the Medina, bicycle bells accompany the sound of prayers issued from the mosque minarets. 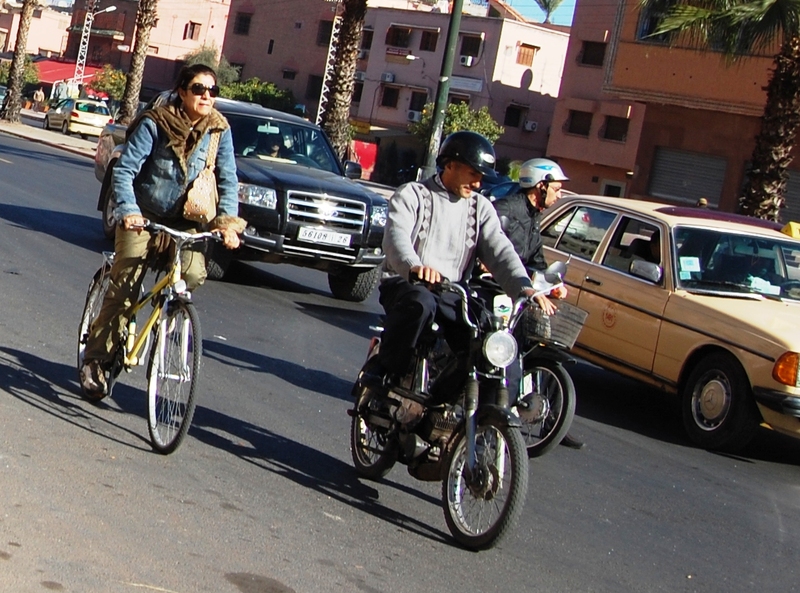 Bicycles shoot through the streets and cyclists seem to be absorbed – eaten up, almost – by the crowds. 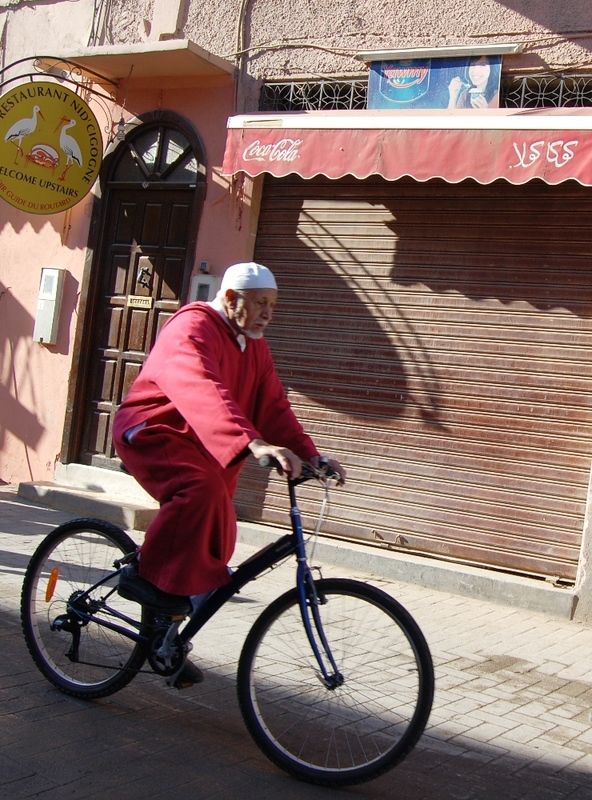 In the Medina, bicycles ensure goods get there on time; in a way a car couldn’t. 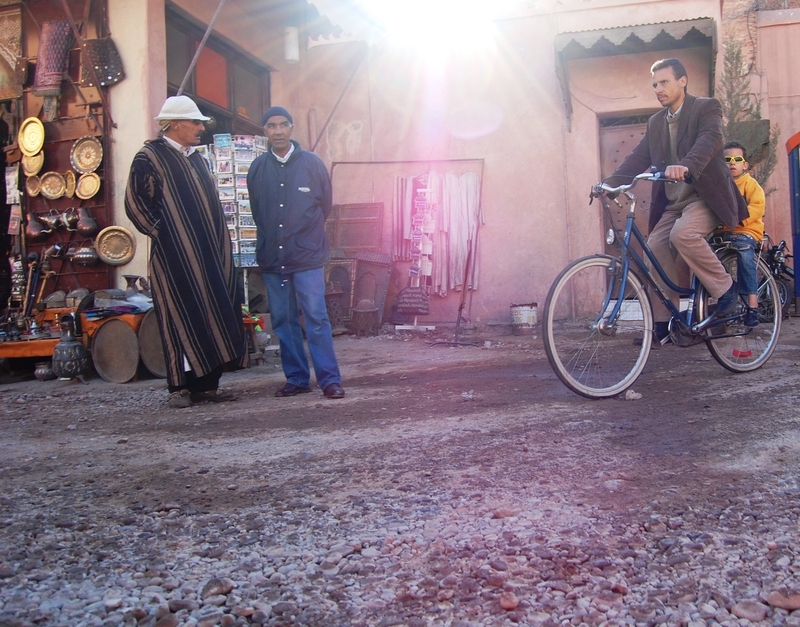 And so, the bicycle has won the hearts of nearly all merchants in Marrakech. Only a few merchants have not adopted the bicycle; not because they do get deliveries by car, but because they prefer mules. Daan – my dad – could put a press clippings service out of business. Ever since we moved from Amsterdam, he has cut-out, stamped, and posted to Dublin any bike article he reads. Recently, my dad’s clipping service ventured into new markets — it now also offers vintage bike books. 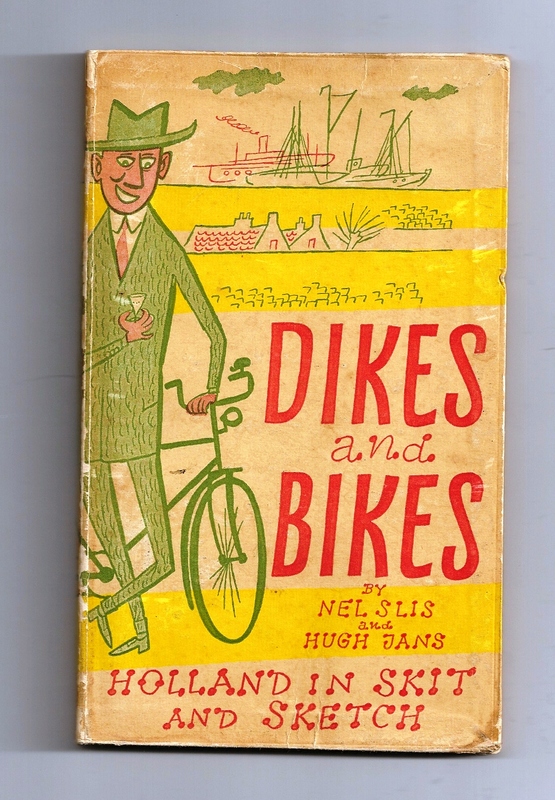 Flying back from Amsterdam, I read the vintage book my dad gave me for Christmas: ‘Dikes and Bikes’ – written by Nel Slis and Hugh Jans, published in 1953. It’s a comprehensive foreigner’s guide to the Netherlands. 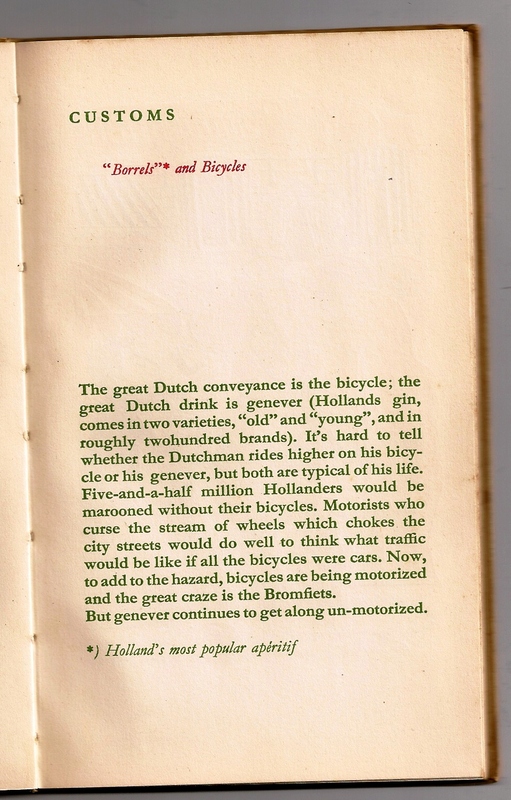 Finally, the book describes Dutch bicycle culture (I am copying the enitre artcile below). 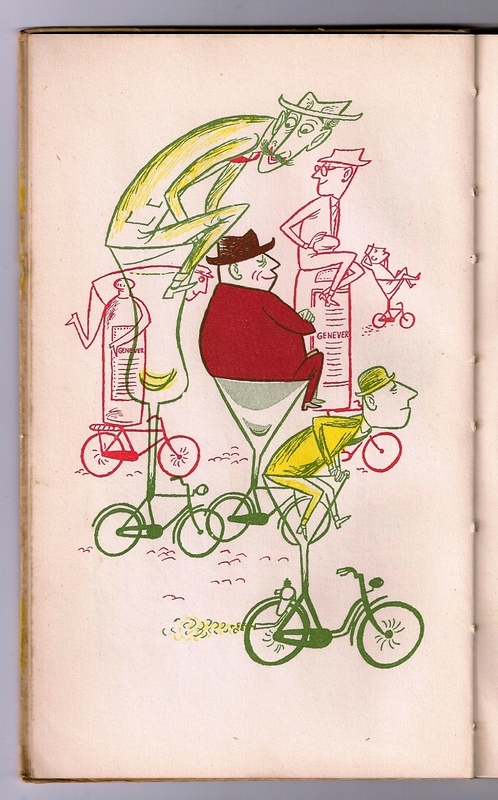 Apparently, the five-and-a-half million people using a bike in 1953 were cursed by motorists. Nowadays, Holland has 18 million bicycles, and 16 million inhabitants. With that, the cursing also seems to have gotten less.